The internet is the primary driving force of the current digital phase. Due to this, the internet is available abundantly in the form of public Wi-Fi hotspots. These hotspots can be found almost everywhere including hotels, cafés, at the airports, waiting for terminals and even at your favorite beer spot. As much as public Wi-Fi is a good thing since you don’t have to pay for it in most cases, it’s also where most imminent internet threats and attacks lurk. Man-in-the-middles (MITM) attacks – This is a more advanced form of eavesdropping in that the attacker acts as a middleman between you and your destination. So, whatever you do on the public Wi-Fi, the attacker gets it. It’s even complicated when the attacker decides to play both sides, for instance, the sender and the receiver. Malicious hotspots – These are rogue public Wi-Fi hotspots that look similar to the original ones; they are imitations with malicious intent. Connecting to these hotspots will give cybercriminals easy access to your device. Snooping and sniffing – These aid in eavesdropping but an attacker narrows down what he/she wants. For instance, a cybercriminal can choose to sniff on financial details only. When visiting sites on public Wi-Fi, ensure that they are HTTPS. You can know this by looking for the word https in the URL address bar when the website has finished loading. 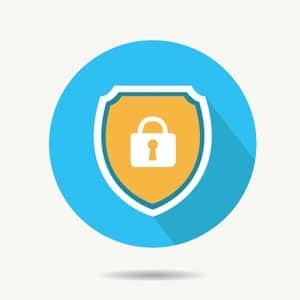 HTTPS sites are secure since the connection will be encrypted. HTTP means the site is not secure and cybercriminals can easily snoop on what you are doing. Additionally, most HTTP sites are usually spoofed. Attackers usually host sites masquerading as the original sites on public Wi-Fi. Through this, they can harvest lots of usernames and passwords. Sometimes you might connect to malicious hotspots or even legit public Wi-Fi hotspots that ask too much information at the sign-up process. If they want details regarding your phone number, email address and other identifying information, don’t bother connecting. Also, always have an alternative email that is designated for public Wi-Fi hotspots. Filesharing is the easiest way to get files when you are connected to a Wi-Fi network. It’s also the fastest way in which cybercriminals can steal your files or drop malware into your device. To be safe, always ensure filesharing is turned off in all the devices you are using to access public Wi-Fi. 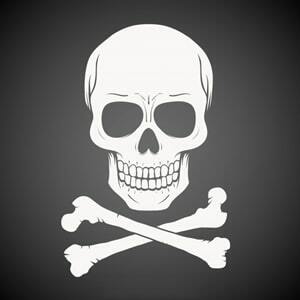 There are some sites that cybercriminals are always after. Due to eavesdropping, sniffing and snooping, a cybercriminal can know when the specific websites are accessed. These sites usually deal with money or other confidential information. It’s better to avoid online banking when using public Wi-Fi. This is the ultimate and the most effective way to stay safe on public Wi-Fi. 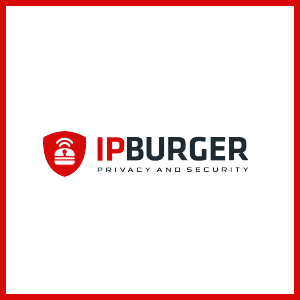 All you need to do is sign up for the VPN service, install IPBurger VPN in the devices you are going to use on the public Wi-Fi and then connect the VPN before doing anything online. IPBurger VPN will keep you safe on public Wi-Fi by encrypting all your internet traffic. Its strong encryptions will ensure that no prying eyes will get to see your data. Furthermore, IPBurger will also mask your IP address by assigning you a new IP address from the server location you will choose.